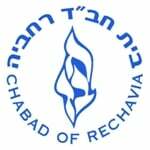 Chabad of Rechavia is dedicated to providing every Jew regardless of philosophy, affiliation, level of awareness or commitment, an open door environment for strengthening and enhancing Jewish life. Chabad serves individuals and families looking for a non-judgmental, accepting and personalized Jewish experience. Chabad of Rechavia is enthusiastic about offering meaningful Jewish experience, education and renewal opportunities for all Jewish men, women and children. Chabad of Rechavia offers Judaism with a smile, and a home away from home for everyone who walks through its doors. Click to find a map of our location and directions.